Welcome to the dark side of fashion! 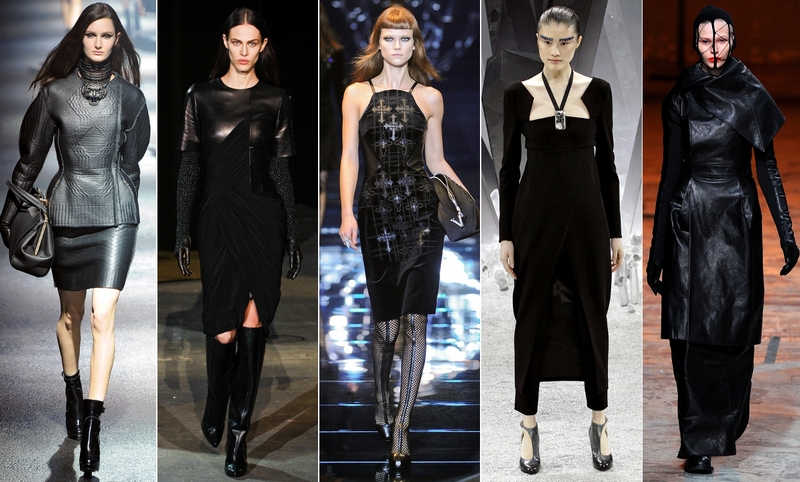 Chanel, Versace, Rick Owens, Lanvin, Alexander Wang, or Donna Karan are some of the designers who came up with some cool interpretations of the Goth theme. From effortlessly hip to chic and even glam, dare to shun all sartorial stereotypes trying metal, leather, velvet crucifixes, lace, and all-dark ensembles. Did someone say dandy? Boy oh boy, how we love this style! 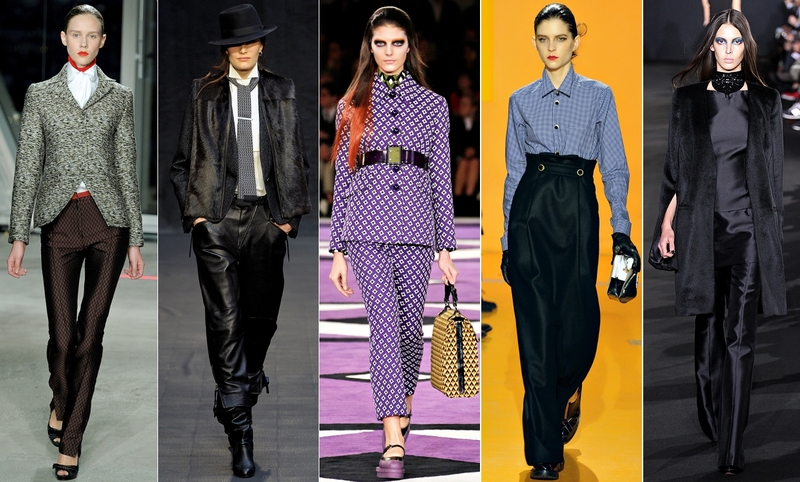 Classy and elegant, the masculine-inspired trend comes back strong with some oh-so-chic goodies. Androgynous shirts, pants, straight coats and jackets with a masculine flare were spotted at Prada, Jonathan Saunders, and Prabal Gurung. 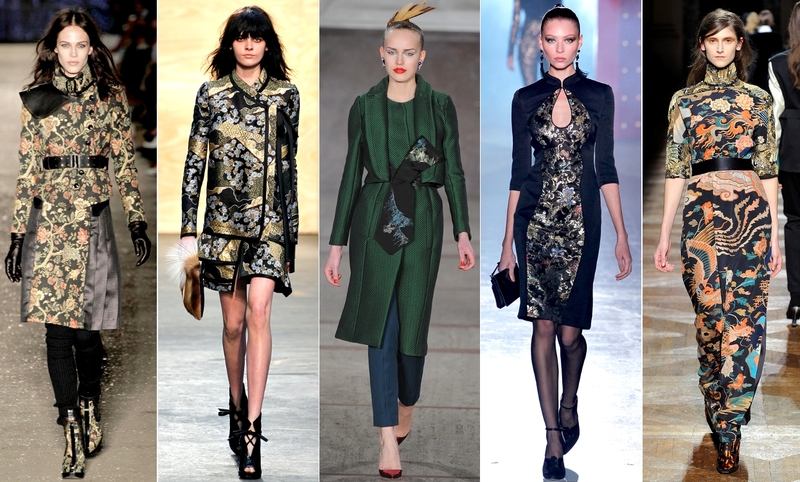 We were completely hooked by all those Far East-inspired pieces seen at Zac Posen, Rag & Bone, Jason Wu, Proenza Schouler, and Dries Van Noten. 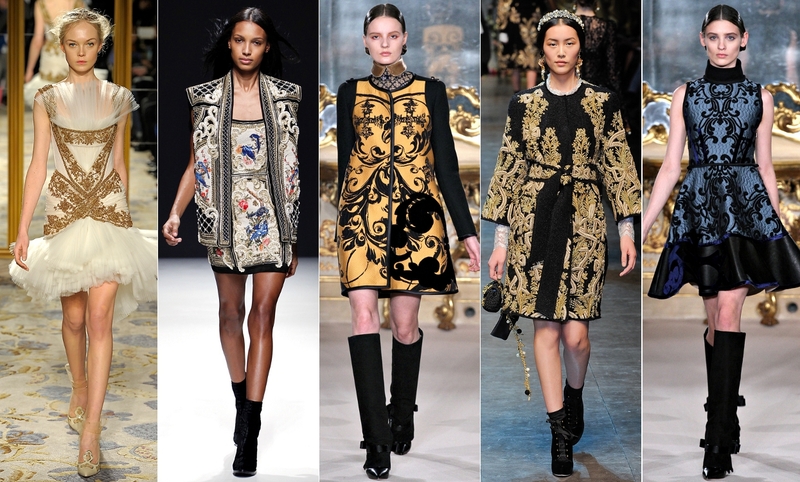 So, if you want to win the spotlight, try one of this season's hottest trends inspired by gorgeous geishas and other traditional ethnicwear. Whether you go for the head-to-toe look or just wear one single item, leather is undoubtedly this fall's must-have (Givenchy, Gucci, Yves Saint Laurent). Still, don't forget about old-faithfuls knits that will keep you warm during freezing winter days. Cozy knitted goods were spotted at Gucci, Nina Ricci, Rochas, and Mary Katrantzou. According to the fall 2012 color trends, red is the new black! Yes, this season, even the little black dress becomes red. Therefore, whether is cherry, crimson or oxblood red, it's time to spice up your ensembles adding a pop of color (Haider Ackermann, Giambattista Valli, Diane von Furstenberg, Sophie Theallet, Zac Posen). great post! love it! thanks so much for your lovely comment on my blog! so happy you found me on chictopia :) would you like to follow each other on GFC? I really love the first outfit most of all actually, it's very feminine yet regal and powerful. Queen meets ballerina. Do you know what designer it is?